Instinct Dog Training Inc. is delighted to officially announce the launch of its national franchise program for Instinct Dog Behavior & Training® facilities – an exciting step toward the company’s mission of providing help and hope to every dog and owner through kind, practical dog behavior and training resources. 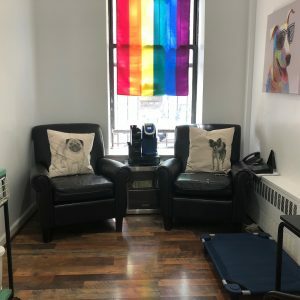 While Instinct’s flagship location in New York City has been operating since 2009 (and has since helped thousands of dogs and owners live together peacefully and happily), the company was just approved to begin franchising at the beginning of 2018. The Instinct franchise program is built on nearly a decade of impressive yearly growth, careful strategic planning, and a relentless commitment to developing proprietary, best-in-class training and operating policies and procedures – all with the goal of bringing practical, positive training to more dogs and owners. Dog owners are seeking positive, dog-friendly training for their canine family members. 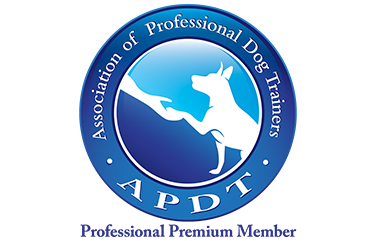 According to a 2018 survey of 240 U.S. dog owners(1), nearly 80% felt that training should “absolutely” be a positive experience for their dogs. 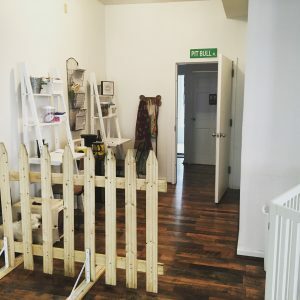 That may come as no surprise, but in an unregulated industry with no industry-wide professional or ethical standards and no requirements for licensing, certification, or education, it’s tricky for dog owners to know exactly what they’re getting when they reach out to a dog professional for help. Yikes! Every Instinct Dog Behavior & Training franchise must adhere to a set of welfare-focused standards and policies developed and reviewed by the Instinct Dog Training Inc. Behavior Leadership team, which is comprised of Certified Dog Behavior Consultants and board certified Veterinary Behaviorists. In addition, all Instinct trainers and behavior consultants must hold specific certifications and participate in ongoing continuing education programs, so dog owners can feel confident that both they and their dog will be treated with kindness and respect. 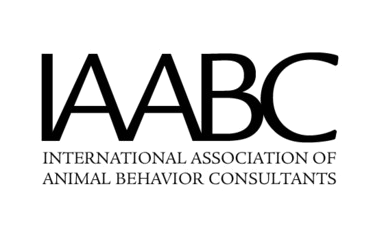 “In an industry where dog trainers require no special license, certification, or education, we hope to offer dog owners peace of mind in knowing all Instinct training facilities require their trainers to hold certain certifications and to adhere to positive, science-based training methods,” said Brian Burton, Co-CEO of Instinct Dog Training Inc. 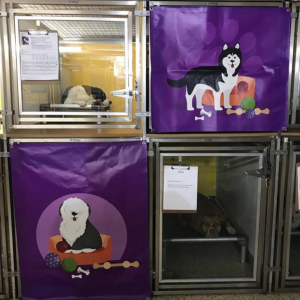 Instinct wants dogs and humans to feel comfortable and relaxed when they visit an Instinct facility. 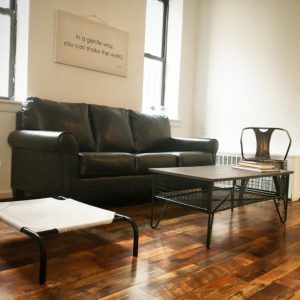 That’s why all Instinct franchises are safe, inclusive environments and are decorated to provide a warm, home-like feel, with wood-look floors, comfy furniture (and dog beds! ), lots of artwork, and of course, treat jars and toy boxes aplenty. Training rooms are neat, clean, open and inviting – appealing to dogs and their owners. Trainer Admin areas provide perfect opportunities for Campers to practice stays while trainers answer emails. Warm, homey consult rooms help dogs and owners feel at ease during initial meetings. 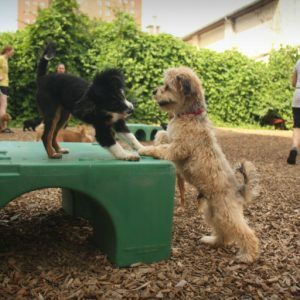 ‘Real Life’ spaces help Instinct trainers generalize skills so dogs can be successful back at home. Spacious play yards give Instinct Campers lots of room for play and exercise. All dogs rest in clean, quiet, private kennels between the day’s many activities. Instinct franchise facilities are staffed 24/7, meaning Instinct Campers are never left unsupervised, and all Campers have their own safe, secure private kennels to relax in between the day’s many activities. 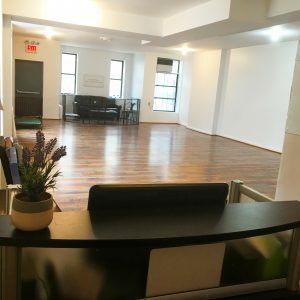 Instinct’s first franchise location is slated to open in Northern New Jersey in late 2018 and is owned by board certified veterinary behaviorist Dr. Emily Levine, DACVB, and behavior consultant Suze Cullinan, CDBC. Several other franchise locations are in various stages of discussion and development. Instinct is actively seeking qualified, dedicated franchise partners in urban markets across the country to join its team and help bring its proven business model to more markets. It’s a fantastic opportunity to own a piece of the recession-resistant pet market, help dogs and owners, and be a part of something bigger while receiving some pretty amazing support services. Instinct is fiercely committed to finding the right franchise partners, then doing everything we can to help them thrive and succeed – because successful franchisees mean we’re helping more dogs and owners! Interested parties can reach out to us at [email protected] to schedule a discovery call. 1. “Welfare of American Pets”. Conducted February 2018 by Instinct Dog Behavior & Training. Data collected using SurveyMonkey Audience.